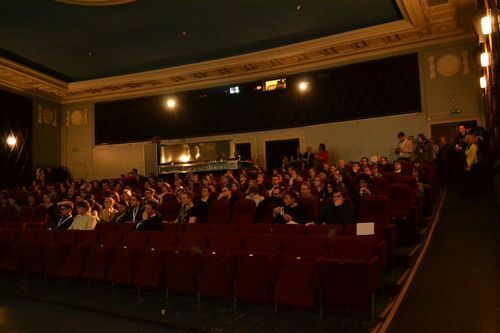 On Monday, the 25th of March, a dream we’ve had for a long time finally came true: “The Startup Kids” was screened at Kino Sõprus. The event was part of the MIT Global Startup Workshop 2013 unofficial programme. The audience seemed to enjoy the movie a lot, bursting into homeric laughter in unison and seconds later becoming thoughtfully quiet again. 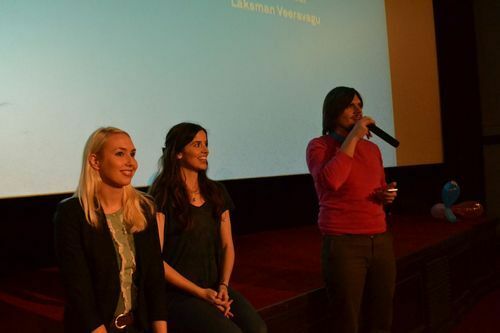 Since the directors of the movie, Vala and Sesselja, were also present, we had a short Q&A arter the screening. As it turned out, it’s not that easy to find successful people in the top of the startup world ladder, if you can begin your phonecalls, saying „We are two girls from Iceland…“. Out of all the 80 calls, they were rejected only once. Since not all the interviews didn’t make it into the film, we can only hope that Vala and Sesselja find a fascinating use for those that were left out this time. Until then, go to iTunes to watch The Startup Kids, if you hadn’t had a chance to watch it yet!